A.J. Renee has read 21 of 60 books. A.J. Renee read 47 books of her goal of 40! AJ Renee is the author behind the St. Fleur series, Beauty Unmasked, Winter's Surprise, Surviving Paris, and Finding Love at the Falls.... She's a military wife and mother to three young girls. She graduated from the University of Central Florida with her Masters of Science in Criminal Justice and a Bachelors of Science in Psychology while working at the library. She loves to write steamy romance with suspense and a happily ever after. When she isn't writing or interacting with her readers, you can find her spending time with her family or reading. 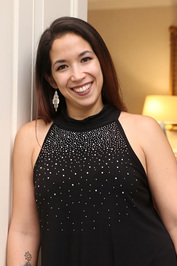 AJ enjoys traveling, researching family history, and all things New Orleans. https://www.twitter. AJ Renee is the author behind the St. Fleur series, Beauty Unmasked, Winter's Surprise, Surviving Paris, and Finding Love at the Falls.... She's a military wife and mother to three young girls. She graduated from the University of Central Florida with her Masters of Science in Criminal Justice and a Bachelors of Science in Psychology while working at the library. To ask A.J. Renee questions, please sign up. Complications, St. Fleur #6, by AJ Renee releases everywhere May 8th! The mob. A mole. Murder. In a matter of seconds, Charlotte Mae’s life fell apart. Now her boyfriend’s lifeless eyes haunt her dreams, and she carries the blame for her father’s death. We’d love your help. Let us know what’s wrong with this preview of Moonshine & Malice by Kathleen Brooks. We’d love your help. Let us know what’s wrong with this preview of Reckless by Lex Martin.